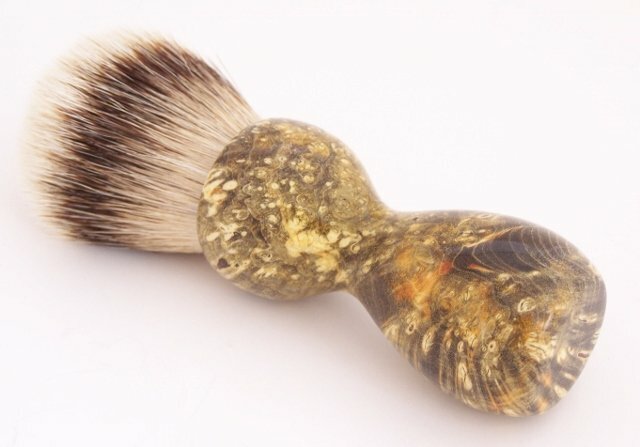 This Amber Black stabilized Box Elder Burl wood 24mm Super Silvertip hair shaving brush was hand turned in my shop. These stabilized and dyed woods uniquely bring out grain pattern in a way that can't be found anywhere else. 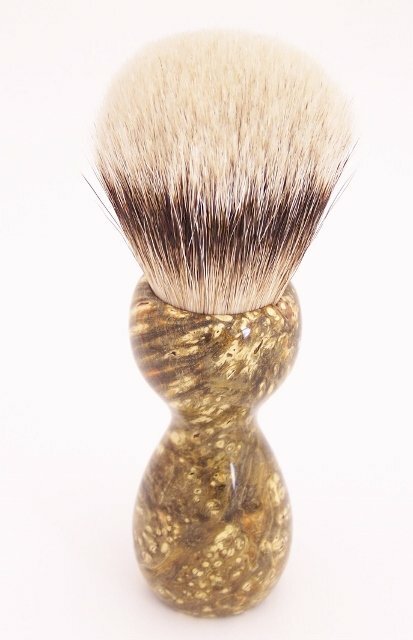 My shaving brushes are made one at a time by me at a pace that allows for the crafting of a unique and beautiful addition to your home or collection. 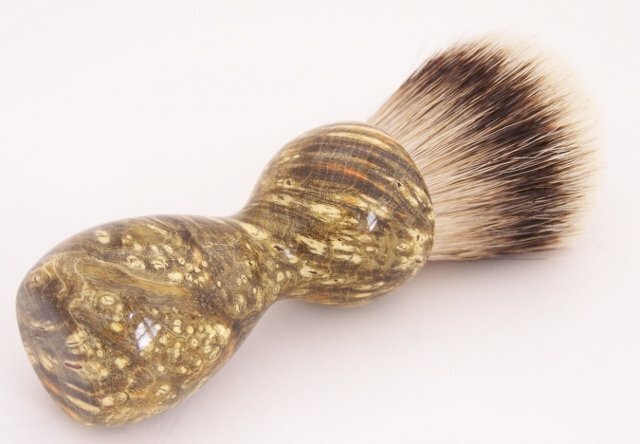 These brushes make great gifts for those hard to get men and women in your life. The Super Silvertip knots have natural soft white tips that give the knot a luxurious feel. Super Silvertip is the highest grade Silvertip I carry and is an upgrade over my Super Badger and Standard Silvertip Badger. If you want the best, Super Silvertip is what you want. The knots are nicely packed and they have good backbone. The brush and handle together are 5 1/4" tall. The brush pictured is the brush you will receive.